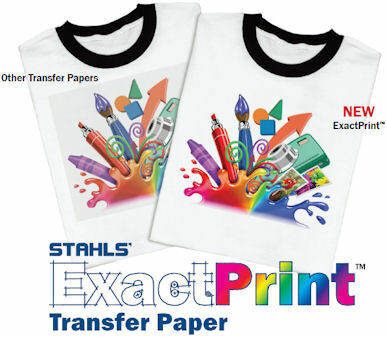 With NEW ExactPrint™, you print only the ink from your design. press again for 30 seconds. ExactPrint™. Your customers will love its vibrant results! which use fuser oil and most oil free machines. See Technical sheet for Recommended printer/copier models that achieved the best results. To grab your customers attention customize your transfer by using our heat transfer foils.